Finally, Google releases its second physical device after Nexus One and Nexus S hit the market for the first time. However, this time Google played bigger. It’s a netbook. According to Google, it’s a revolutionary netbook that contains nothing but some hardware (no data, literally). You already know that Google has got a browser called Chrome. But Chrome is a software and you can’t literally touch it or feel it or throw it into the river. So, the folks at Google created a heavier version of Chrome and named it Google Chrome OS (Operating System). But we have never received a stable version of this browser-based operating system although Google has been testing it on a CR-48 notebook and gave away a couple of these “Beta laptops” to people. Then Google appointed Samsung and Acer to build a netbook for it. This netbook, a physical alternative to your Chrome browser, has been unveiled by Google today. If you’re interested, you can obviously buy it. This will hit the market on June 15th this year. You can buy it from Amazon and Best Buy. Why throw it into the river? Well, Google definitely doesn’t inspire you to throw it into the river. They just say that if you for some reason do throw it into the river, you have lost nothing but a bunch of circuit boards, motherboard, processor, display, keyboard, touchpad and the likes. All your information data is still safe because whatever you did with your Chromebook remains safely on the cloud. This is a big thing, for sure, unless your Internet speed is as terrible as here in Bangladesh. 8 second boot-up: Because Chromebook doesn’t have any ‘installed software’, this little netbook takes only 8 seconds to boot up. I guess that’s fairly fast compared to how long it takes to run Google Chrome browser in a Windows, Linux or Mac. Applications: Google says, “Every Chromebook runs millions of web apps, from games to spreadsheets to photo editors. Thanks to the power of HTML5, many apps keep working even in those rare moments when you’re not connected. Visit the Chrome Web Store to try the latest apps, or just type in a URL. No CDs required.” I’d say that it’s originated in Ubuntu (software center) that was later adapted in Mac (Mac App Store) and now in Google Chrome OS. Me? Well, I don’t know if I can run Windows or Ubuntu on it. If yes, I’d like to buy one (I’m not saying that I’ll buy because Amazon isn’t available in the place I live in). But I guess I can’t run any other operating system because the configuration doesn’t show up any hard drive into it. So, maybe I’m not gonna be a fan of Chromebook. For specifications of Samsung and Acer Chromebooks, follow this link and choose your favorite vendor. But I’m sure not everyone is so. 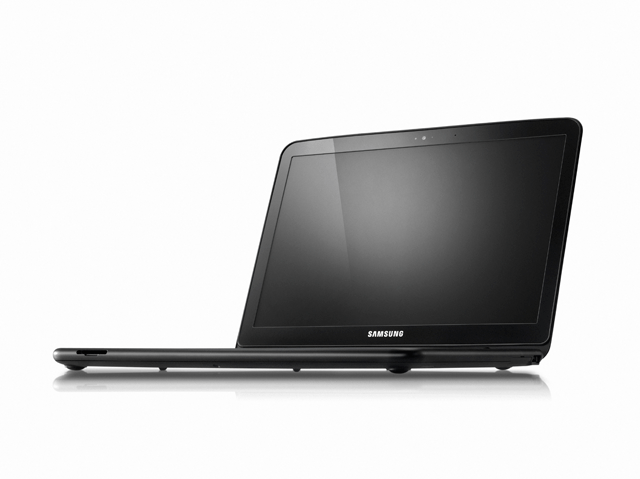 What do you think of Chromebook netbook? It is promising but I doubt residents in Asia (including me) are going to benefit since we don’t have a fast internet connection unless we paid a horrendous price. Also, unlike any other continent, Asia is populated with Windows and most of us are skeptic. So it is futile to market there/here unless chrome have something innovative and effective to offer. PS: Informative post Sajib, as always. Chrome OS is definitely a big step forward but we will not be able to take the advantage because you don’t get that fast internet speed as one might require to do everything on the cloud. First you will have to explain what a ‘lay man term’ means. 😀 I never heard of it before. Well, ‘cloud’ in technology means everything that you can access from your computer, mobile or whatever device that is not physically stored in your local device. For example, when you’re writing something on Google Docs, your writings are being saved in the cloud. Because your hard drive doesn’t have a copy of it unless you download. Also, if you’re familiar with Dropbox, you’d know that this ‘dropbox’ in your computer is a folder that is in the cloud. Layman terms is in “plainer words”. You can disable verified boot and install Ubuntu.